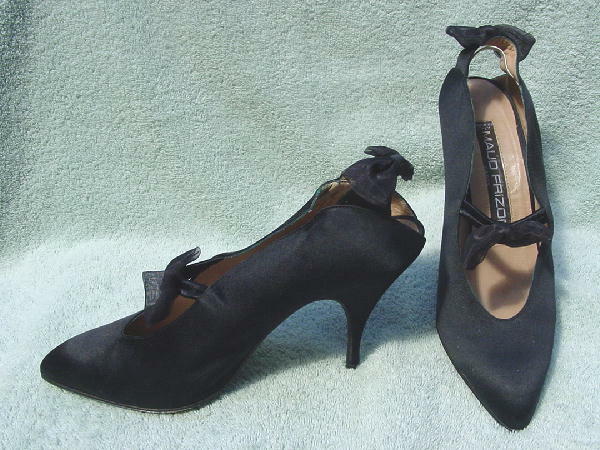 These black silky-satin elegant shoes are by Maud Frizon and were made in Italy. 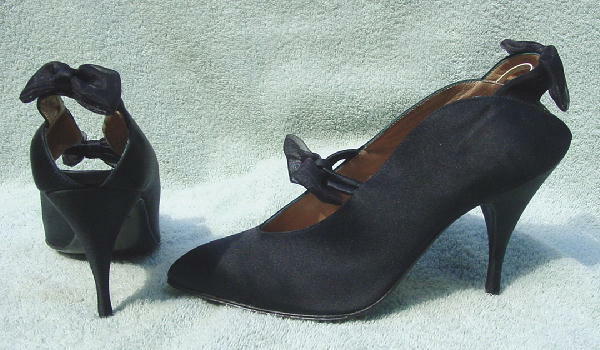 They have pointed toes and a cutout back heel with a strap net bow at the top of the cutout. There is a separate elastic strip in front of the bow. It has a black elastic band across the arch with a net bow in the center. They have tan leather linings and insoles. They're very well made and very comfortable. They were worn once, in a studio for a magazine photo shoot.